1 Then I saw the Lamb open one of the seven seals, and I heard one of the four living creatures call out, as with a voice of thunder, “Come!” 2 I looked, and there was a white horse! Its rider had a bow; a crown was given to him, and he came out conquering and to conquer. 3 When he opened the second seal, I heard the second living creature call out, “Come!” 4 And out came another horse, bright red; its rider was permitted to take peace from the earth, so that people would slaughter one another; and he was given a great sword. 7 When he opened the fourth seal, I heard the voice of the fourth living creature call out, “Come!” 8 I looked and there was a pale green horse! Its rider’s name was Death, and Hades followed with him; they were given authority over a fourth of the earth, to kill with sword, famine, and pestilence, and by the wild animals of the earth. The series of seals, trumpets and bowl which begin in this chapter and run through chapter nineteen are the portions of Revelation that many people are captivated and sometimes repulsed by. This is also the portion of Revelation where interpretations will vary greatly. Sometimes familiarity with the language of scripture and the images of the culture of the time of Revelation can make certain interpretive options more likely for John’s initial audience but ultimately any attempt to restrict the highly symbolic image laden language of Revelation to one meaning betrays the lingering power of these images which continue to resonate two millennia later. As I proceed through these cycles of images I will present a reading that I find compelling and interesting, but I also am aware that my own reading will not agree with many other intelligent, informed and engaged interpreters. Among these images the most famous is also the first. The four horses with their riders, commonly referred to as the four horsemen of the apocalypse, correspond to the initial four seals and are announced by the four living creatures around the throne. To begin looking at the four horses and their riders and the three seals that follows begins with a choice of how to approach the seals themselves. The seals are on a scroll written on the front and back, but ultimately unreadable until the scrolls are broken, and it is only the appearance of the Lion of Judah which is the sacrificed Lamb who is worthy (see the pivotal reversal of the previous chapter) which enables the seals to be opened. Do the seals themselves reveal the content of the scroll and are therefore a part of the judgment of God or are they merely preparations that enable us to be prepared to receive this judgment. One can argue for either perspective but following the image of a sealed scroll I read these as preparations to be able to understand what comes afterwards. Especially the first five seals represent in my reading a way of understanding the world to which the later judgements will be addressed. Even though there is a lot of interplay between what I am labeling three cycles as shown in the table below and there is a sense of progression in the narration from seal to trumpet to bowls there is also a cyclical nature where each series can illuminate a common idea in a different manner. Another parallel to these initial seals is to the description can be seen in what is sometimes called the ‘little apocalypse’ in Mark 13 (and parallels in Matthew 24 and Luke 21). The four horsemen of the apocalypse have proven to be a powerful visual image for artists, storytellers and has slipped into our language in surprising ways. John Gottman can adopt the four horsemen as a metaphor for four practices which, in his research, are the four primary predictors of divorce (criticism, defensiveness, contempt and stone walling). Gottman as a practicing Orthodox Jew was able to pull this metaphor from the cultural references to the horsemen. 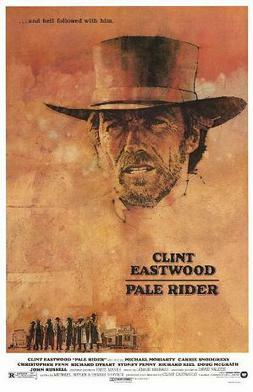 They have occupied the worlds of fiction and film, for example the Clint Eastwood movie Pale Rider is built around a resonance for the final rider on a ‘pale’ horse whose name is death and hell follows after him. 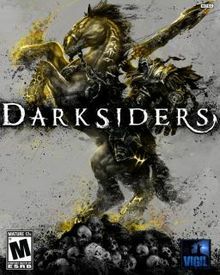 Even within the world of video games in the Darksiders series you can play as War or Death (riders of the apocalypse) in a destroyed world that may not be theologically related to the world of the bible (other than involving angels and demons) but uses these brief descriptions as an imaginative starting point to construct a character and the world in which they unleash their destructive power in a search for redemption (in the first two games War and Death respectively are the protagonists). 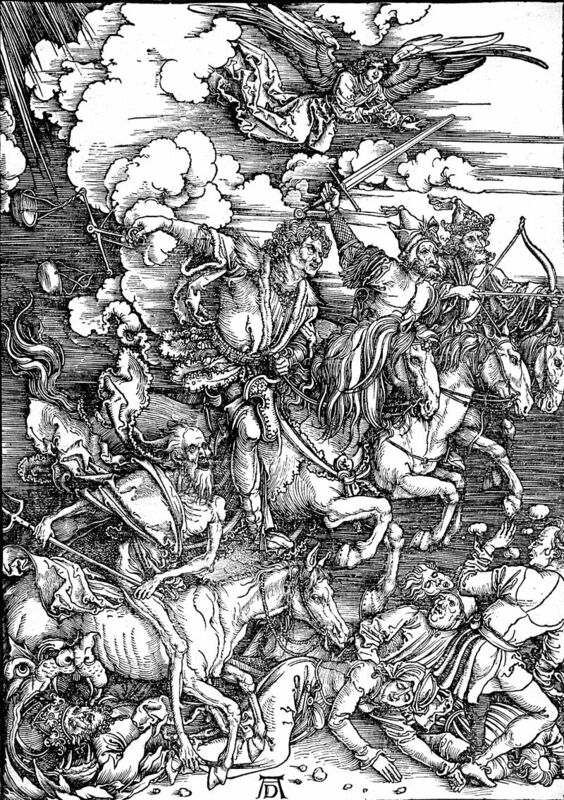 The artist and writers will continue to utilize the four horsemen as a source for their imaginative constructions both literarily and visually yet the challenge for the reader of scripture is to ponder how these briefly described figures emerging from the seals might help us to make sense of the world we encounter. Interpretation of the horses and their riders ultimately rests with the first horse and rider and how they are viewed. While the riders and horses may draw inspiration from the horses that patrol the earth in Zechariah 1: 8-10 (red, sorrel and white) and the four chariots in Zechariah 6: 1-8 (red, black, white and dappled grey) which represent the four winds of heaven, ultimately the four horses and their riders form a new and powerful image of conquest, war, famine and death. Hearing the description of each seal I imagine John on the ground because he sees the horse emerge first and then only after looking at the horse is the rider observed and described. Yet, it will be the horse and the rider taken together with their complementary descriptions that will make the images as powerful as they remain. I will strike your bow from your hand, and will make your arrows drop out of your right hand. My best reading of this is that the white rider does represent conquest and that which parades as righteous but which Revelation will argue is demonic and within the progression of Revelation it will become clear that Rome is reflected by many of these images to the first hearers. As I mentioned the Roman legions did not use mounted bowmen at this point and yet the bow stands to distinguish the white horse here from Christ. Rome was the primary empire which built and sustained itself on wars of conquest. For me the seals reveal the world as it is for the hearers. Yet, the power of this and the other images of Revelation is the way they can typologically represent the experiences of multiple times. In many ways this rider which represents empire and conquest which often appears in the guise of righteousness but may truly be demonic should be an uncomfortable if poetic image to measure the powers and the actions of one’s time against. In my own context, in what ways does America masquerade as being righteous and benevolent and yet act in a way that models this rider rather than the crucified Lamb? Although he is referring to the image of the rider in Revelation 19, Miroslav Volf’s words resonate here as well. “We will believe in the Crucified, but we want to march with the Rider.” (Volf, 1996, p. 276) We may confess the crucified one who conquered through his suffering and death, but we may want to follow the strongman who conquers through military might. While the second rider could be a force which destroys the Pax Romana and sends the nations into turmoil I read it as a revelation of what the Pax Romana really is, war under the guise of peace. 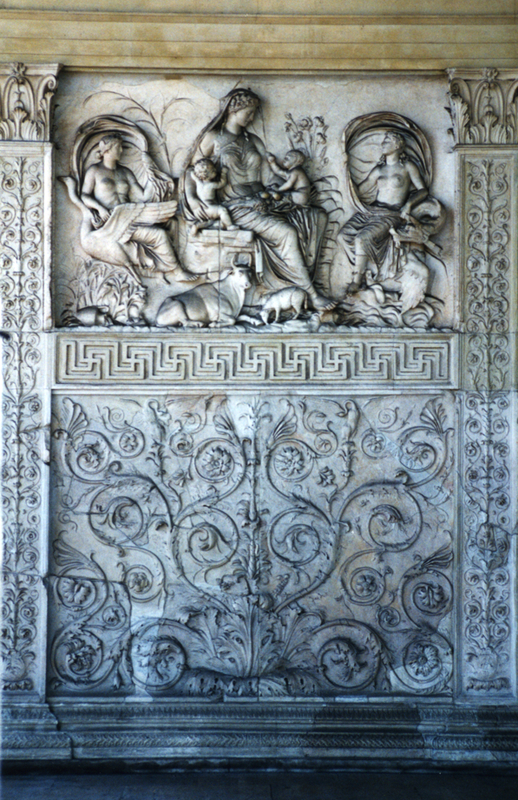 In the Roman pantheon Mars is second only to Jupiter in his importance and is viewed in the mythic genealogy of Rome as the father of Romulus and Remus. War was a central part of the Roman identity, theirs was a peace through continual conquest both on the borders of the empire and against any forces of insurrection internally. Rome was a strongman who conquered by the spear and the sword. As Tacitus, a Roman senator and historian, could sarcastically remark, “pacem sine dubio…verum cruentam. Peace there was, without question, but a bloody one.” (Zanker, 1988, p. 187) Again, the question becomes for my own context to ask about the ways in which in America military might becomes worshipped instead of the crucified. Could some of our own struggles with issues around guns in America reflect a god more like Mars or more like the expected Lion than the Crucified Lamb. A modern dystopic world built on a similar crisis is The Hunger Games novels written by Suzanne Collins. In the books the conquered districts send most of their resources into a capital district to finance their lavish lifestyles and appetites while the people in the districts deal with oppression, hunger and deprivation. In a world of trade which is based upon consumer demand and property and the resources of the world concentrate in economically stronger countries and regions this image of the black horse, its rider and the calling voice continues to provide a challenging image for the world in which we live. When the consumption of luxury goods (represented by oil and wine in Revelation) begins to crowd out the ability of subsistence farmers to grow the necessities for making the bread to feed the mouths of the world then we live in a world reflective of this horseman where securing the minimums for survival becomes a challenge for all but the wealthy. The society that the bible advocates for is one where every mouth is fed and the neighbor’s well being is provided for. Yet, throughout the history of Israel and the church this vision continually conflicts with the human instinct to hoard resources and to accumulate property, wealth and power. In Revelation 18 when Babylon (Rome) falls and the economic system that sustained it collapses it will be the merchants who brought the wealth of the earth to the capital who will shed tears and cry at the devastation of the city and their livelihood that was tied to this system. The final horse emerges as a sickly green and its rider is Death personified. Just as the Romans could personify things like Victory or Peace into goddesses like Nike or Pax the Hebrew people personified Death and Hades as superhuman forces which have the power to grasp or consume people. The forces of conquest, war and an economy of trade and taxation have led finally to death. The promises of empire of prosperity and peace have been finally revealed as their opposite. Sword, famine, and disease is a common traditional list of ways in which death comes as a judgment (see for example 2 Chronicles 20:9; Jeremiah 14: 12; 21:7; Ezekiel 5:17; 6:11) and added to this is the threat of wild animals which enter the space of devastation and destruction in the aftermath of war and the loss of the protection of cities and communities. For me the four horses and their riders provide a resonant image that continues to function today as a prophetic image to evaluate society by. When the forces of empire, military might and commercial commerce instead of promoting life for the entire society, and by extension the world, but instead become forces that are based upon war or economic exploitation then we mirror the horsemen and bring death instead of life. I believe that the horses and their riders point to the reality of the world as it is and that while they are not caused by God they are shown for what they are. Yet, even Death and Hades are ultimately subject to God and in Revelation 20 will be forced to surrender their captives before being sentenced to the lake of fire. 9 When he opened the fifth seal, I saw under the altar the souls of those who had been slaughtered for the word of God and for the testimony they had given; 10 they cried out with a loud voice, “Sovereign Lord, holy and true, how long will it be before you judge and avenge our blood on the inhabitants of the earth?” 11 They were each given a white robe and told to rest a little longer, until the number would be complete both of their fellow servants and of their brothers and sisters, who were soon to be killed as they themselves had been killed. With the opening of the fifth seal we see yet another revelation of the way the world is in the death of those who are faithful witnesses. The death of these followers of Jesus may have seemed a meaningless loss to those on earth but here in Revelation their deaths are given meaning as a sacrifice lifted up to God. Yet, as this sacrifice is lifted up there is an expectation that God will act upon their sacrifice and the act as judge and avenger. Their cry is a familiar cry to the people of Israel, “how long?” They believe and trust that God will not let injustice continue indefinitely. God is a God who will act on behalf of the faithful. This fifth seal reveals the position of the church at the beginning of Revelation, they continue to wait on God’s action. They do not take judgment into their own hands and act as revolutionaries. Their prayers go up, their lives may be offered up as faithful witnesses and yet action rests in God’s hands. God’s kingdom comes to earth in God’s time and not the time of the saints. Yet, they do receive a white robe to clothe their bodies in the resurrection. The image here is not of a disembodied soul, even though the word soul is used at the beginning of this description but the movement of the hope of Revelation and the early church is an embodied hope of resurrected bodies on earth rather than souls remaining in heaven. Most translations introduce the word ‘number’ into verse eleven and this translation points to a number of witnesses that must die prior to God’s action, and while this tradition is based on other ancient sources it is not present in Revelation. Ultimately verse eleven points to the completion of the work of the witnesses. Their work is not yet complete. God exercises a costly divine patience so that the witnesses to the gospel might carry their message to the ends of the earth and that the nations may have an opportunity to repent. Even with the death and destruction of Revelation, God continues to exercise restraint providing the opportunity for all those who can be redeemed to be saved. Yet, God will not ultimately allow the forces of conquest, war, exploitation and death to reign. God will not remain indifferent as forces threaten the creation, but God will exercise a patience that is costly to the witnesses of the gospel. Much like in Jesus’ parable of wicked tenants (Mark 12: 1-12 and parallels) God continues to send the servants even as they are ridiculed, tortured and even killed in the hope that these tenants might change. Wipe away all tears, for the dawn draws near and the world is about to turn. In the following chapter we will see the sealed remnant of Israel and the countless multitude of the nations who are able to stand while the political and military leaders and the wealthy and powerful quiver and hide among the rocks. God’s wrath may be an uncomfortable image for those who live a comfortable and sheltered life. God’s justice may mean the upending of the systems of conquest, military power, economic exploitation and ultimately death that the wealthy and powerful have benefited from. As a military veteran who lives in suburban America and who benefits from many systems where I have privilege these are difficult words to listen to. These can be words of judgment and hope, or to use Lutheran language law and gospel. The prophetic challenge should force us to reexamine the lives that we live and the policies we advocate for, but the prophetic hope calls us to dream of what would happen when the world turns, when God’s kingdom comes and God’s will is done on earth as it is in heaven. The change may be uncomfortable and there will be those who would rather die than change. Yet, in Revelation God’s justice will not ultimately be thwarted and God’s desire to dwell among humanity will finally be realized. This entry was posted in Biblical Reflections, Revelation and tagged book of Revelation, Four Horsemen of the Apocalypse, Revelation, Revelation 6, Seven Seals. Bookmark the permalink.